Most internet surfers use download managers to handle their bulk and massive downloads but sometimes these software may take up more resources than expected. Here is a download manager, a Firefox extension that don’t takes much computer resources and also boost your download speed by 400% – DownThemAll. 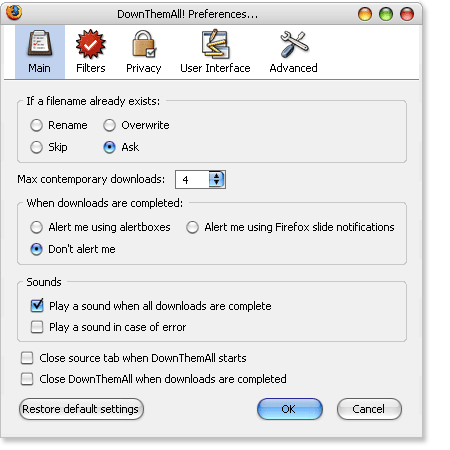 DownThemAll also allows pausing and resuming downloads at anytime. Click here to install DownThemAll extension directly to your Firefox browser. Restart browser to activate the extension. More options are available at Tools -> DownThemAll. Here’s a quick preview of what you can customize with DownThemAll. Find something to download, upon clicking on download you will be greet with this screen. Select DownThemAll! 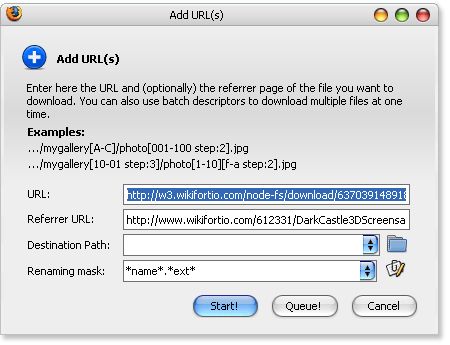 Browse to your destination and hit Start to download now, or Queue to allow other downloads to finish. Here’s where you control your downloads. Resume, pause and cancel are available. 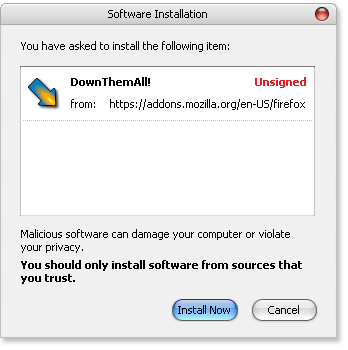 DownThemAll is a Firefox Extention and requires installtion of Mozilla Firefox browser.